1. 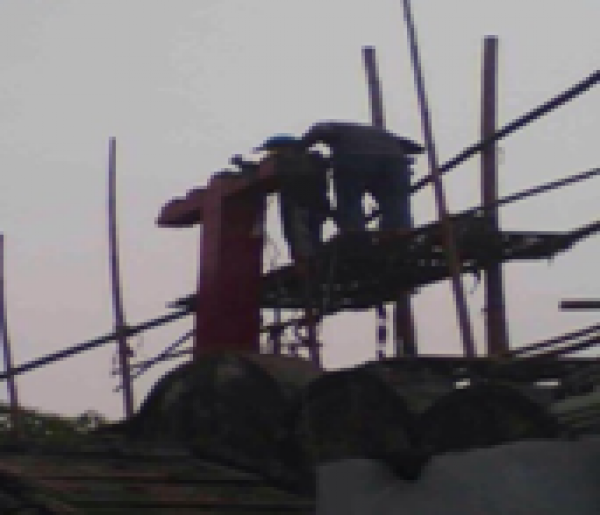 On Jan. 1, the Christian Church of Gou village, Liangzhu town, Yuhang District, Hangzhou, was required by Liangzhu town government to remove the cross of Gou Village Church. 2. 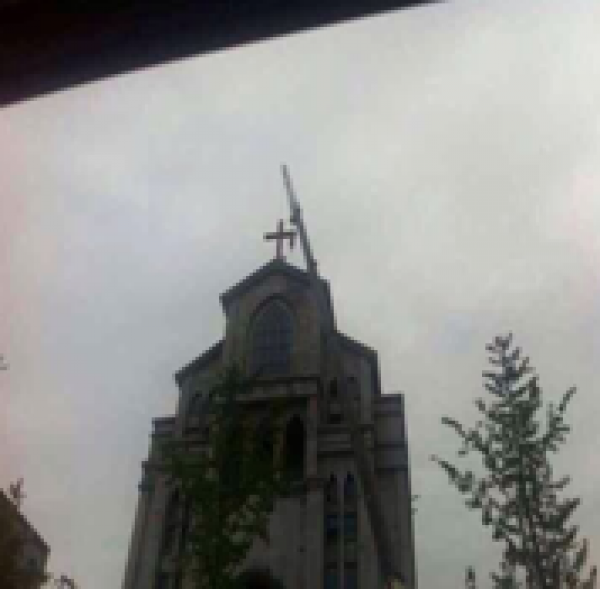 On Feb, 27, the cross of Huanghu Christian Church, Huanghu town, Yuhang District, Hangzhou, was forcibly removed. 3-5: The crosses of Hangzhou Gulou Church, Sandun Church and Xingqiao Church are in the government's list of crosses that will be demolished. 6. On Feb. 27, Baiquan Church in Baiquan town, Dinghai District, Zhoushan, Zhejiang, received a notice from the local government, demanding the church to remove its cross between Feb. 28 and March 1. On April 4, more than 100 SWAT and paramilitary police officers suddenly surrounded the church, and the cross was forcibly removed. Registered with the government, Baiquan Church built its church 15 years ago. The construction of the church was approved by the government and closely followed architectural drawings with no violation of the law. 7. In early April, the cross of Gangtou Church in Yantou town, Yongjia County, Wenzhou, was forcibly removed. 8. 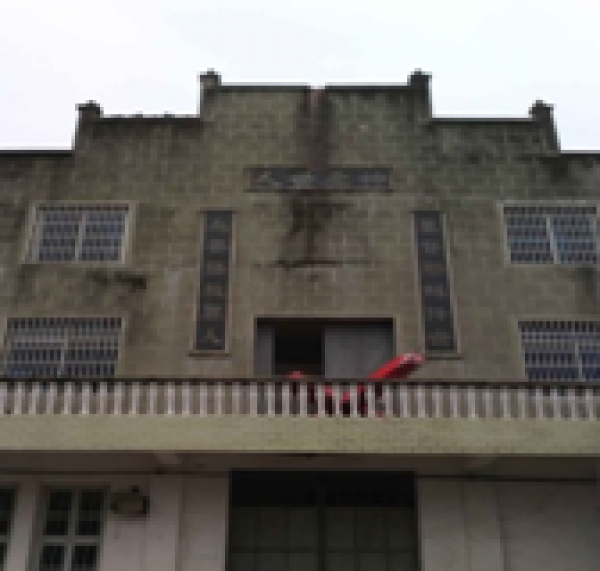 On April 4, the nursing home of Jiangjiaqiao Church in Yueqing County, Wenzhou was close to being demolished. Demolition stopped temporarily due to believers' resistance. 9. 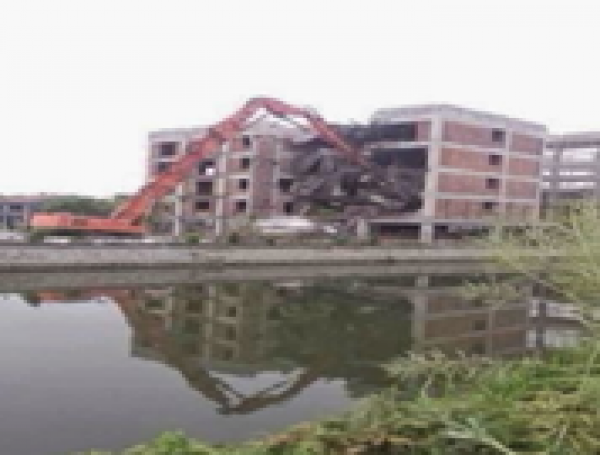 On April 4, Guangming Christian Church in Rui'an city, Wenzhou, received a demolition notice demolition. 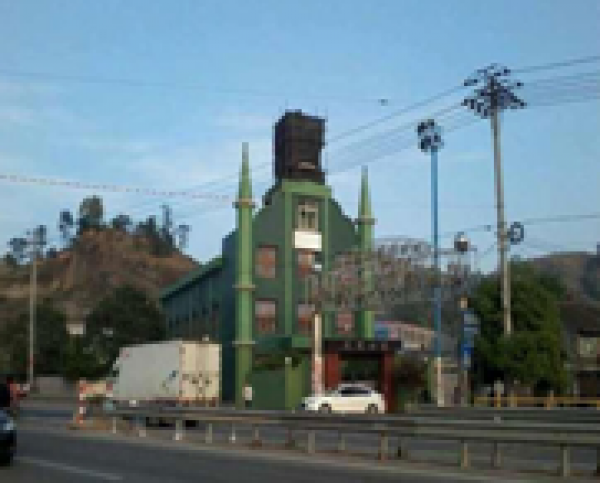 The government demanded three churches located in Shibajia industrial district of Rui'an city to tear down parts of their church buildings before April 10. 10. 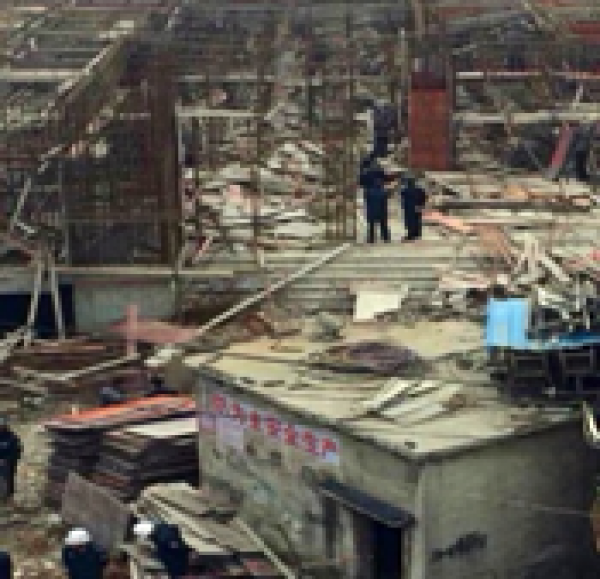 On April 4, part of a church building under construction in Rui'an, Wenzhou, was demolished by the government. 11. 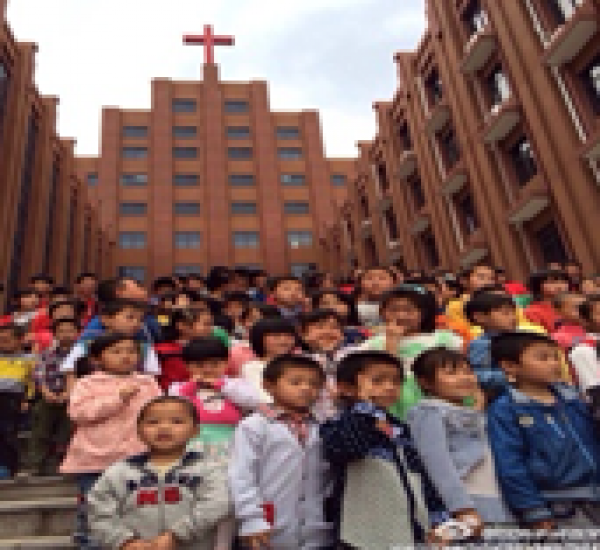 On April 4, a Catholic church in Pingyang County, Wenzhou, was forcibly demolished. The government sent in SWAT to intimidate believers. Some believers were beaten up for resisting the demolition and one person was injured, head covered with blood and dropping to the ground. The church building was bulldozed to the ground. 12. 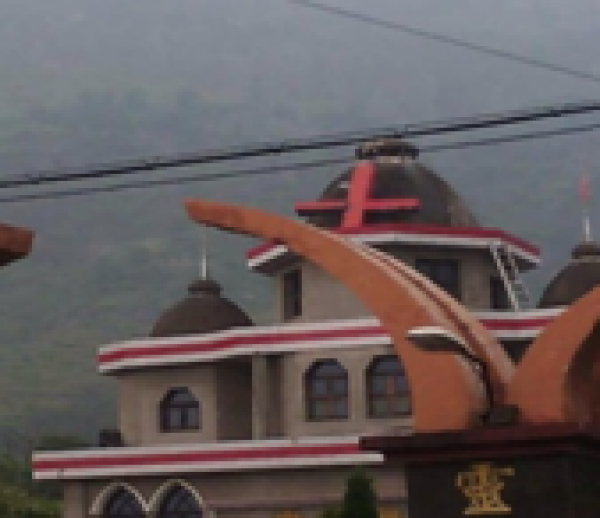 On April 8, Baduzhen Church in Longquan city, Lishui District, Zhejiang, received a notice demanding the church's cross to be demolished because it was "too conspicuous." 13. 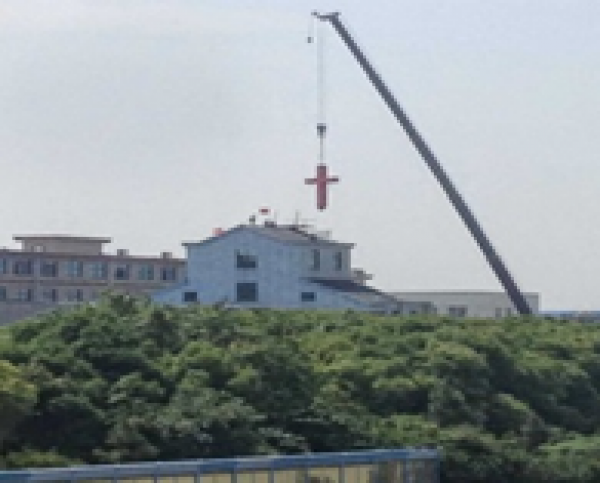 A Christian meeting place in Rui'an, Wenzhou, received a notice from the Municipal Jinhu Office, demanding the demolition of the cross on the roof of the meeting place and other parts of the building. 14. 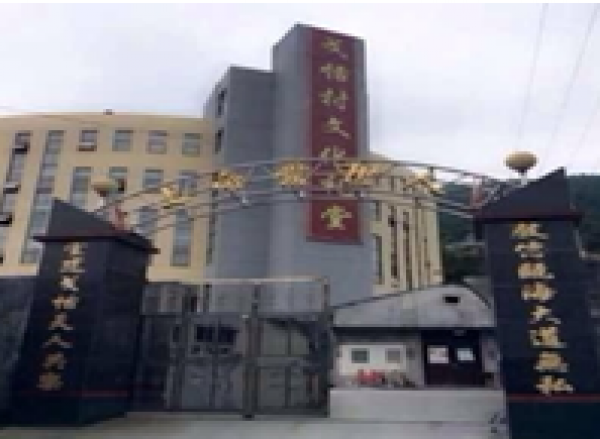 Lushan Chuch in Lingxi town, Cangnan County, Weizhou, received a demolition notice from the government. 15. 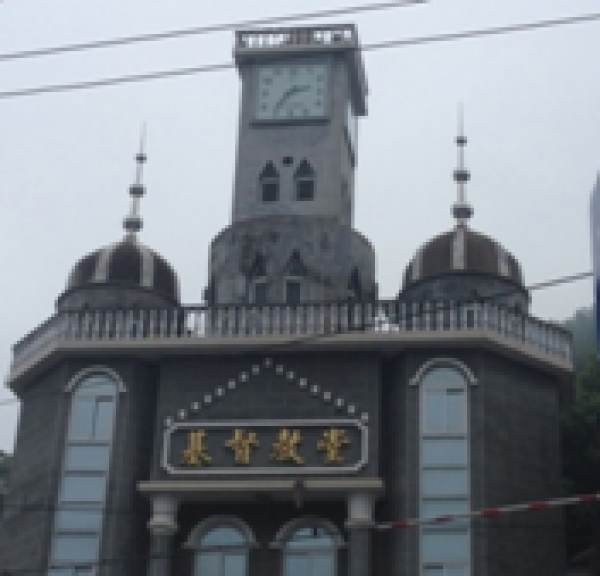 On April 9, Tengqiaodaima Church in Ouhai District, Wenzhou, received a demolition notice demanding the demolition of the church's bell tower, which was under construction, before April 17. 16. 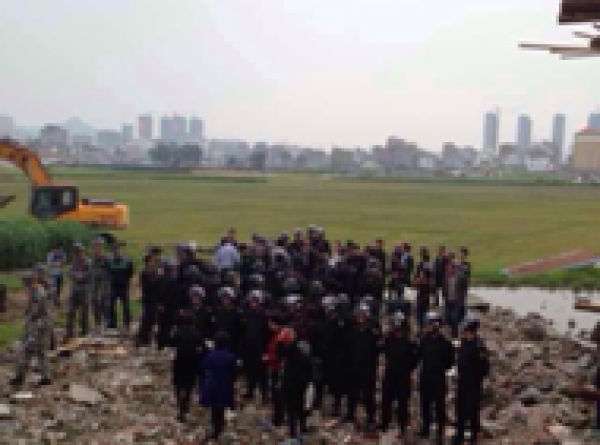 On April 11, Gaoloudilai Church of Rui'an, Wenzhou, faced the demolition of its cross. 17. On April 11, Xiangjiangxindu Church in Rui'an, Wenzhou, received a demolition notice. The government covered the cross of the church with black canvas. 18. 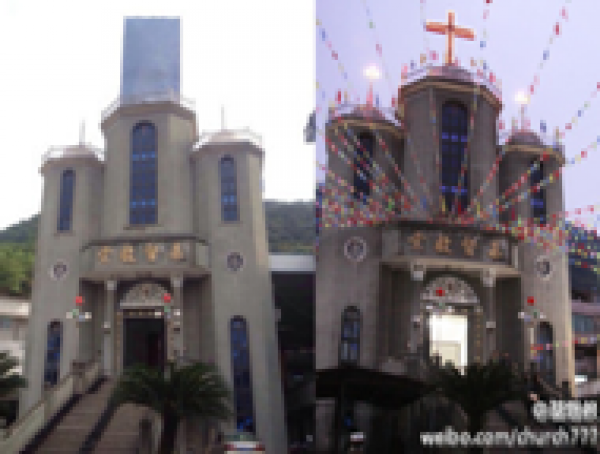 On April 12, Baihe Church in Tiantai County, Taizhou, Zhejiang, received a demolition notice for the church's cross. 19. 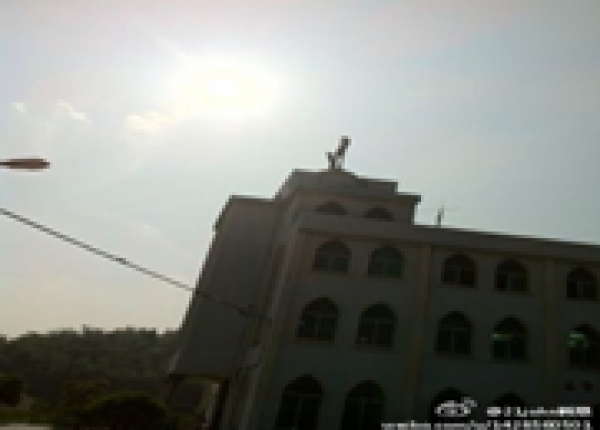 On April 15, Xiaying Church of Yinzhou District, Ningbo, Zhejiang, received a notice from the government, demanding the church to demolish its cross and claiming that the failure to comply would cause the whole church building to be demolished. The deadline given to the church for demolishing its cross is May 20. This church was built in 2013. 20. On April 16, Baixiang Church in Yueqing, Wenzhou, which was under construction, received a demolition notice. 21. April 22, Chengguan Church in Wenling, Tiazhou, Zhejiang, received a demolition notice despite its possession of all paperwork required by the government. 22. 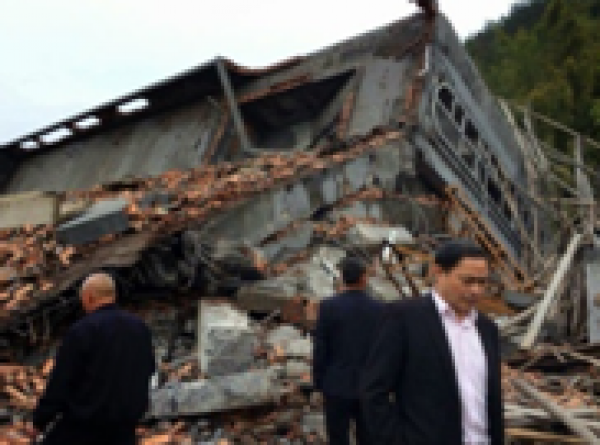 On April 28, Sanjiang Church in Yongjia, Zhejiang, was demolished completely. 23. 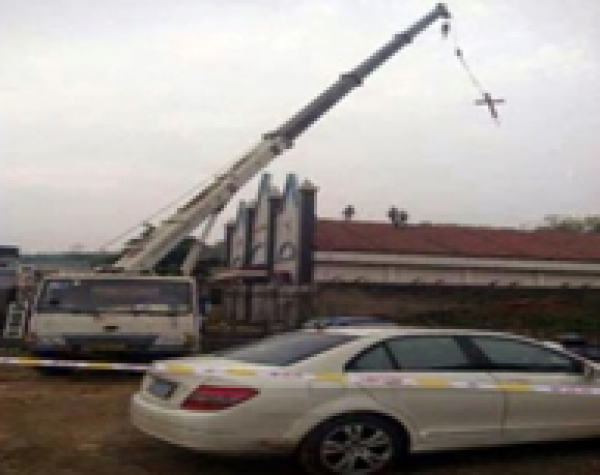 On April 23, the cross of De'en Church in Jiaojiang, Zhejiang, was demolished. 24. On April 25, the cross of Shuiyang Church in Linhai, Zhejiang, was demolished. The church was built 14 years ago. 25. On April 29, the annexes and bicycle sheds of churches in Xiaanshan, Cheng'an, Linshan and Rendi, all in Tengqiao town, Lucheng district, Wenzhou, were demolished. 26. On April 30, Zengshan Evangelical Church in Pingyang, Wenzhou, received a notice from the government that demanded the church to demolish its building before May 4. 27. 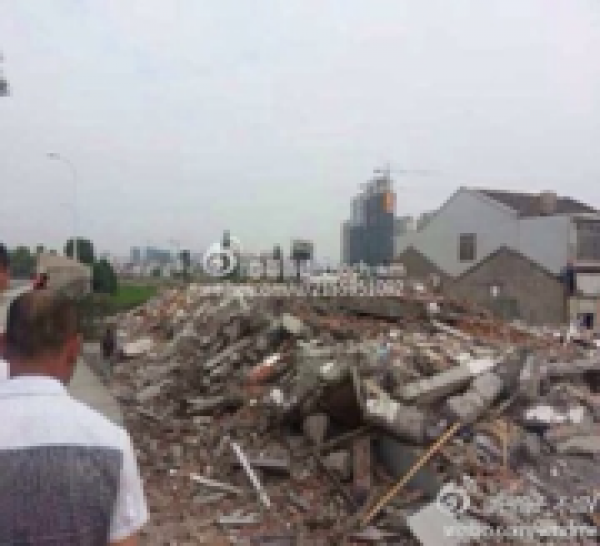 On May 1, parts of the Rendi Catholic Church building of Linjiang community, Tengqiao, Lucheng, Wenzhou, were torn down. 28. On May 2, Anji Church in Huzhou, Zhejiang, faced demolition. 29. 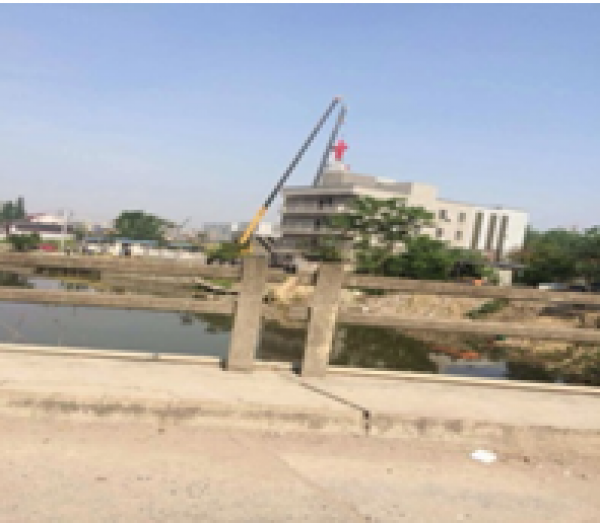 In May, the sign of Zhu'en Church on Zhenxing Road, Yiwu, Zhejiang, was demolished. 30. On May 4, Longgangshan Catholic Church in Liu city, Yueqing, Wenzhou, was demolished. 31. 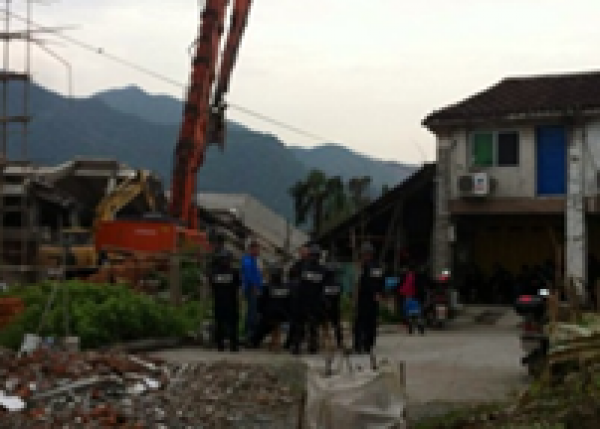 On May 4, the annex of Feng'ao Church in Cangnan County, Wenzhou, was forcibly demolished. 32. On May 5, Getian Church in Yaze, Ouhai, Wenzhou, was converted into the "Cultural Auditorium of Getian Village." 34. 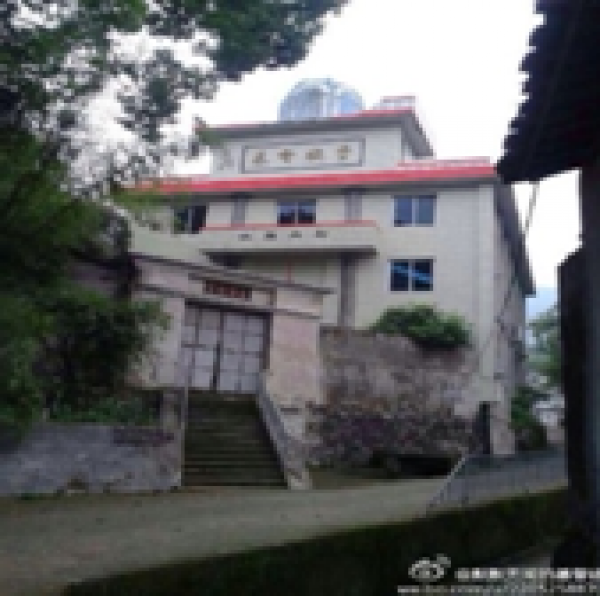 On May 6, the unfinished Wu'ai Christian Church in Cangnan, Wenzhou, was forcibly demolished. 35. On May 6, the cross of Baixi Christian Church in Yandang town, Yueqing County, Wenzhou, was demolished. The construction of Baixi Church was approved by the government, and the church obtained all paperwork required by the government. The government approved even the cross of the church. The church downsized the cross by dozens of centimeters from the original plans in order to be in compliance with government regulations. 36. On May 6, Bao'ao Church in Nanxi'ao pastoral area, Wenzhou, faced demolition. 37. 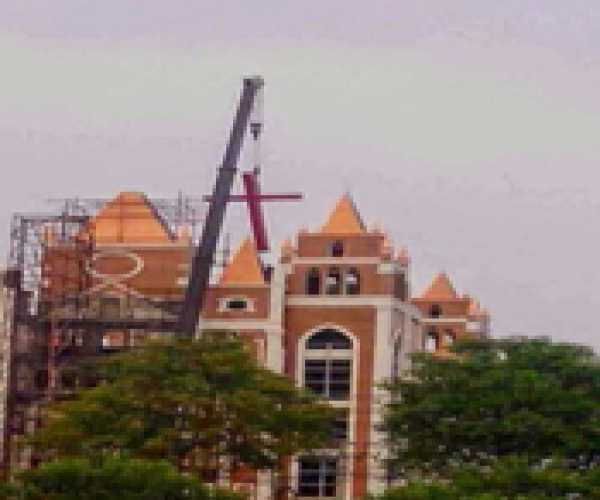 On May 7, the cross of Taoyuan Catholic Church in Pingyang, Wenzhou, was covered with cloth. 38. On May 6, the cross of Shamen Church in Ouhai District, Wenzhou, was wrapped up in cloth. 39. 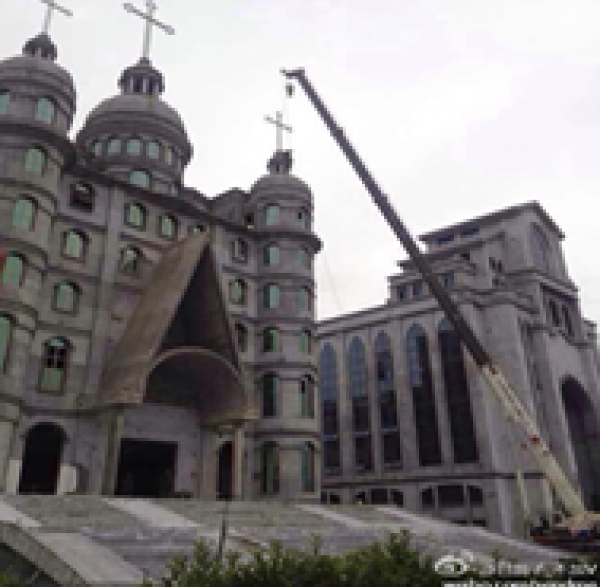 On May 7, the cross of Qiaosi Church in Hangzhou, Zhejiang, was demolished. 40. 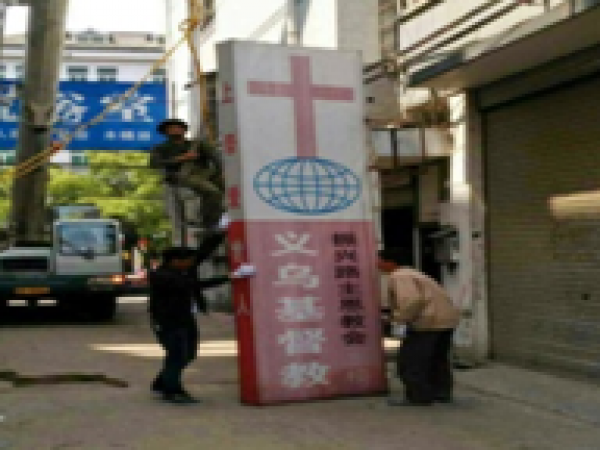 On May 8, the cross of Wuchang Church on Wuchang Road in Hangzhou was removed, along with the church's sign: Wuchang Christian Church. 41. 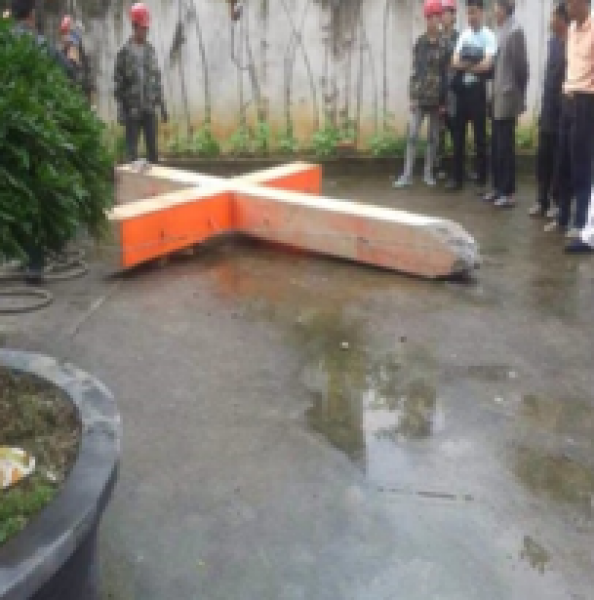 On May 8, the cross of a Catholic Church in Cangnan county, Wenzhou, was demolished. 42. 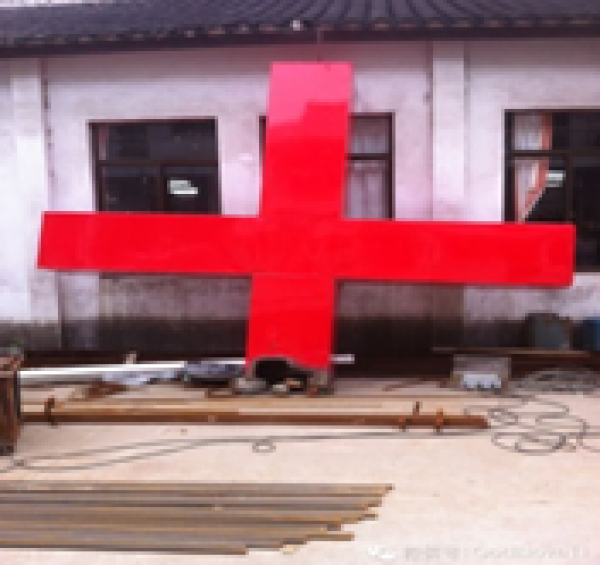 On May 8, the cross of Lingxi Sabbath Day Adventist Church in Cangnan, Wenzhou, was removed. 43. 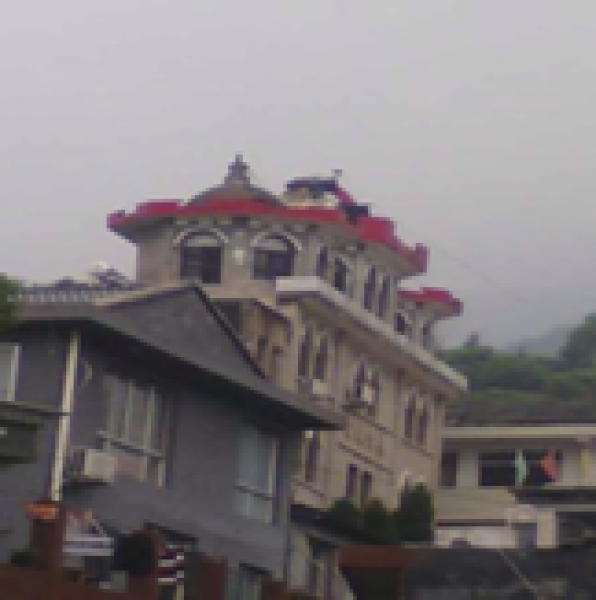 On May 8, Hebing Church in Longwan, Wenzhou, was demolished. Guarded by police, workers only took two hours to tear the church down to the ground. 44. On May 9, the branch of Longwan Church in Shangwan village, Wenzhou, was demolished. 45. On May 12, Bethany Church in Wenzhou received a notice demanded the church to stop gathering. 46. The sign of Bingwang Church in Yiwu, Zhejiang, was removed. 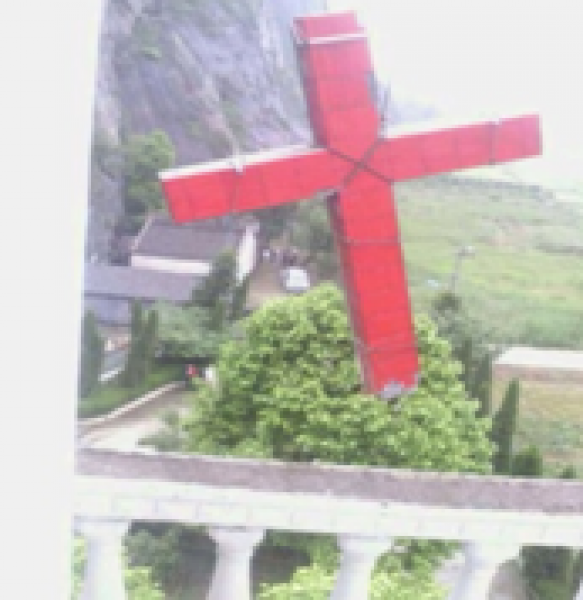 47-49, the crosses of three churches in Jiande, Zhejiang Province, were demolished. 50-52. 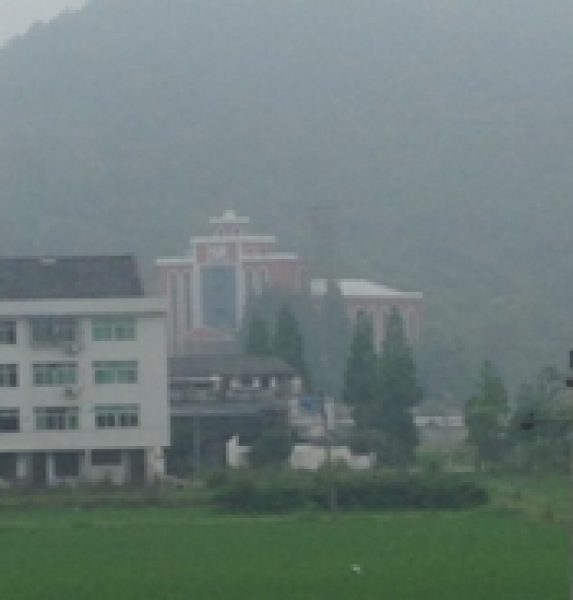 In mid-May, the cross of Shuangheyan Church in Yongjia County, Zhejiang, and the annexes of Huangtian Church and Fengbu Church, which were under construction, were demolished. 53. 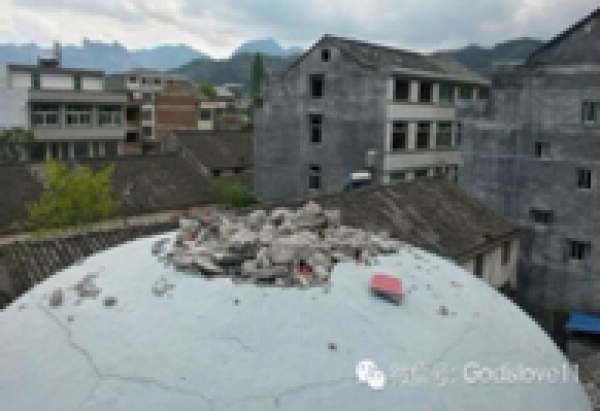 On May 16, the cross of a Yangshancang "Little Flock" Church in Shanglu, Yongjia County, Wenzhou, was demolished. 54. 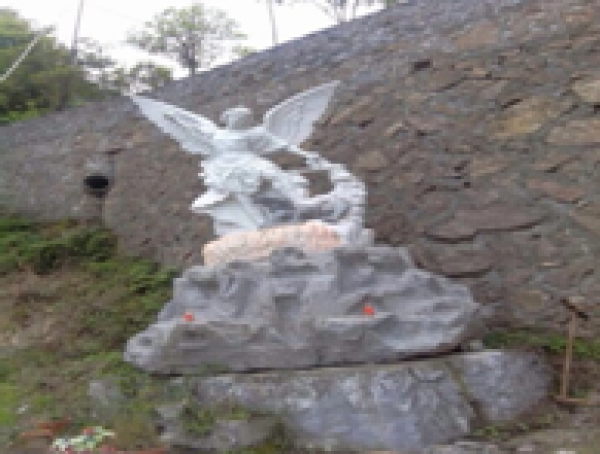 On May 16, the cross of Heyu Church in Shanglu, Yongjia County, Wenzhou, was demolished. 55. 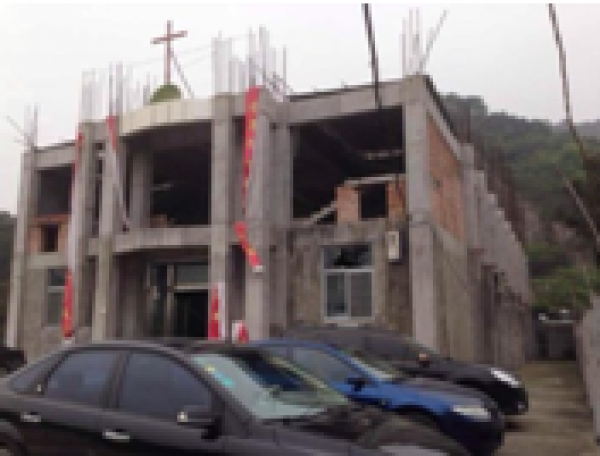 On May 16, the cross of "Little Flock" Church in Zhikou, Yongjia County, Wenzhou, was forcibly demolished. 56. 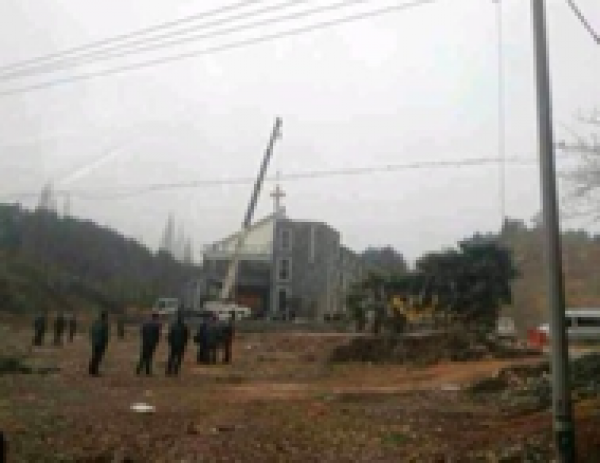 The cross of Shancang Church in Yongjia County was demolished. 57. The cross of Zhang'ao Church in Yongjia County, Wenzhou, was demolished. 58. The cross of Jiuzhang Church in Yantou, Yongjia County, Wenzhou, was demolished. 59. 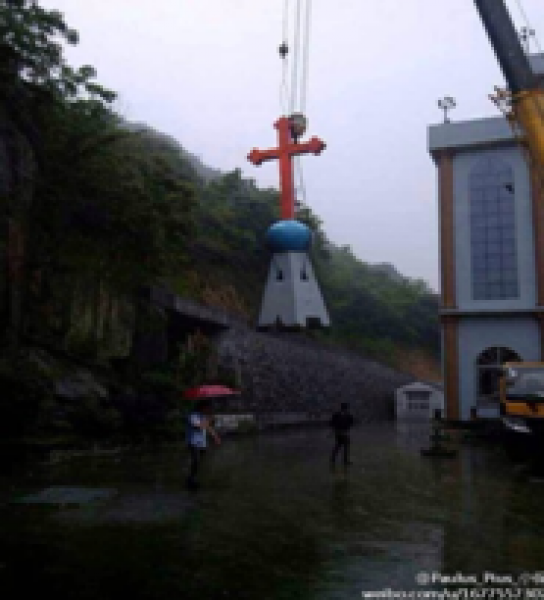 On May 17, the cross of Lutian Church, Yongjia County, Wenzhou, was demolished. 60. The cross of Ruo'ao Church in Yongjia County, Wenzhou, was demolished. 61. The cross of Huangcun Church in Yongjia County, Wenzhou, was demolished. 62. The cross of Lishe Church in Yinzhou District, Ningbo, Zhejiang, was wrapped up with cloth by the government. 63. On May 17, the cross of Henglan'ao Catholic Church in Wuniu Street, Yueqing, Wenzhou, was demolished. 64. 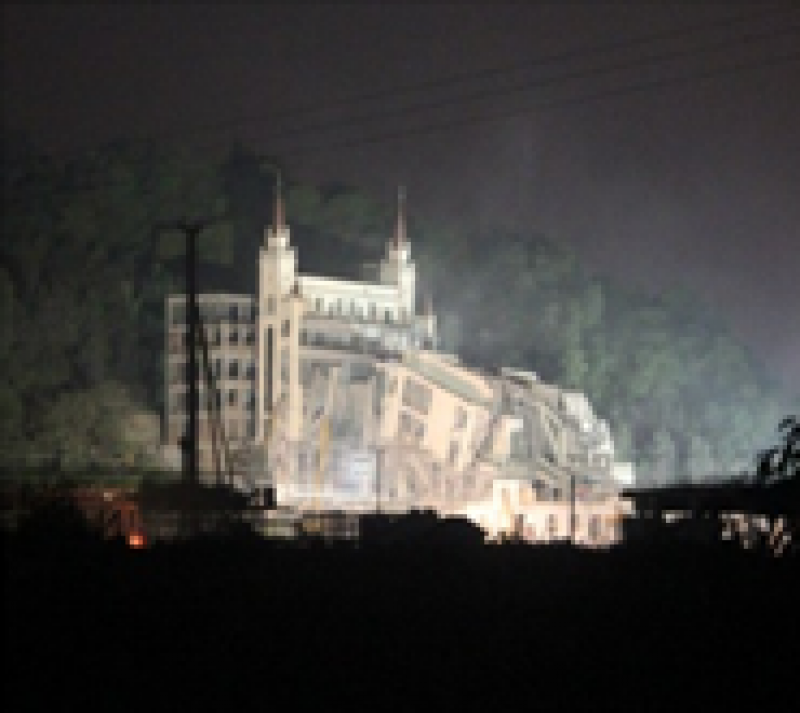 On May 17, the cross of Yantan Church in Yongjia County, Wenzhou, was demolished.